Green tea is a natural remedy and it is beneficial for pain and many other medical problems. Many wonders are hidden in this herbal drink. These are just a few of the many benefits that come from green tea. There are a plethora of ways to lose weight, including pills and chemicals. However, green tea can help with losing a few extra pounds. It aids with proper digestion, increases stamina and boosts endurance for those long workouts. It increases metabolism and increase fat oxidation; Fat oxidation is the body’s way of breaking down these large molecules of fat into smaller molecules that it can be used for energy. It reduces the level of cholesterol in the blood while also improving the ratio of good cholesterol to bad cholesterol. “It boosts up my immune system, and it’s a great antioxidant,” said Ana La Salle, who has been drinking green tea regularly for 2 years now. Green tea has also been shown to reduce depression, and stop Alzheimer’s and Parkinson’s diseases proven by The American College Of Nutrition. The caffeine in the tea is a stimulant that can temporarily elevate mood; researchers believe another component in green tea- L-theanine- helps combat symptoms of depression. It also reduces the risks of certain types of cancers, such as esophageal and skin cancer. “Our research shows that green tea leaves are rich in this anti-cancer compounds, with concentrations high enough to induce anti-cancer effects in the body,” said Dorothy Morre, professor of Foods and Nutrition at Purdue’s School of Consumer and Family Sciences. The findings suggest that drinking at least 4 cups of tea a day can provide enough of the active compound to slow and prevent the growth of cancer cells. As helpful as it may be for curing a sickness, it works just as well for helping one’s appearance. 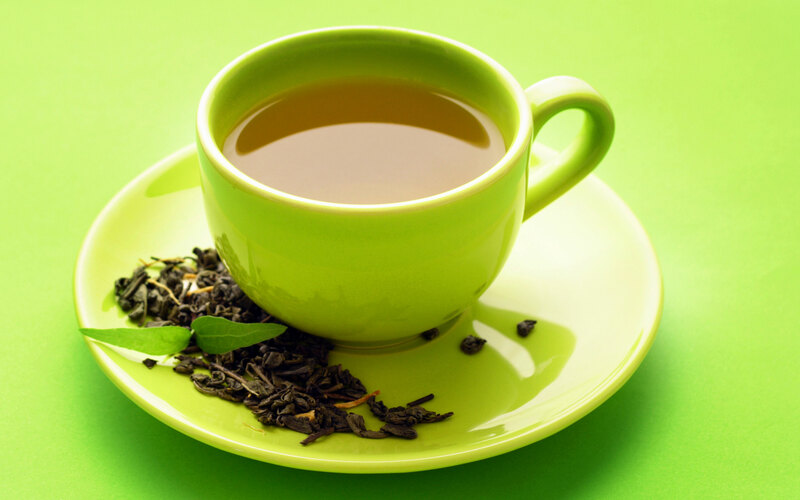 Green tea can reduce and prevent acne, just by regularly drinking a cup of green tea a day. It also keeps the body hydrated from all the water being consumed. Green tea keeps teeth healthy and kills bacterium that causes dental plaque. Most people notice that drinking green tea can delay the symptoms of aging; it can also reduce the risk of heart disease and attack. A study published in the American Journal of Clinical Nutrition suggests that those who drank five cups of Green Tea per day were 33% less likely to develop a disability. In the long run, green tea is not only tasty but beneficial for the body, inside and out.